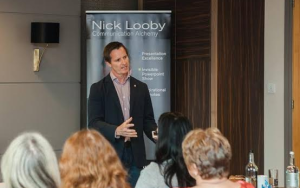 Nick Looby can be booked as a speaker for any of your corporate events; with expertise across a range of communication topics, Nick will inspire, motivate and entertain audiences of any size. The Art of Communicating to Win – for those who crave greater clarity, hunger for more success, more sales and more of life’s good stuff then this exploration of the tools and techniques that lead to greater achievement is for you. Body Language and the Art of ‘Mind Reading’ – we are all communicating, all of the time and our non-verbal communication is far more powerful than most of us think. 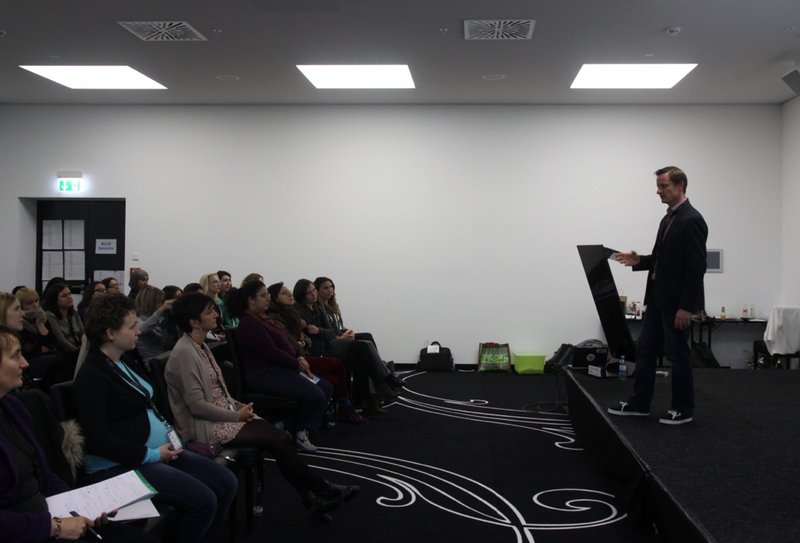 Nick reveals the secrets behind truly understanding your colleagues, clients and even your children by accurately observing what their body language is telling us all and how to display the body language that will give you the edge in almost any situation. Communication Alchemy – how to do more, have more and be more without spending more time in the office. Communication Alchemy opens the doors to more positive outcomes; better and more productive conversations, shorter, punchy and more effective meetings, presentations that achieve results and even emails that get the response you want – ideal for any forward thinking corporate audience. The Invisible PowerPoint show – still one of the most motivational and entertaining shows in town. 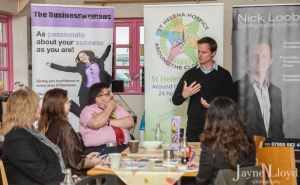 The antidote to any presentation you have ever had to endure – stop wasting yours and your audiences’ time and communicate with Power, Passion and Purpose – unforgettable. Brand New for 2014 – Change your Thinking to Maximise your Success – bookings already taken for Nick’s brand new speaking event which promises to provide invisible techniques to increase confidence, ownership and self-belief and to bring unrealised power to your personal brand. Enhanced Communication is the key to greater success and increased happiness – our mission is to enable you and your team to realise your potential through the power of amazing communication. 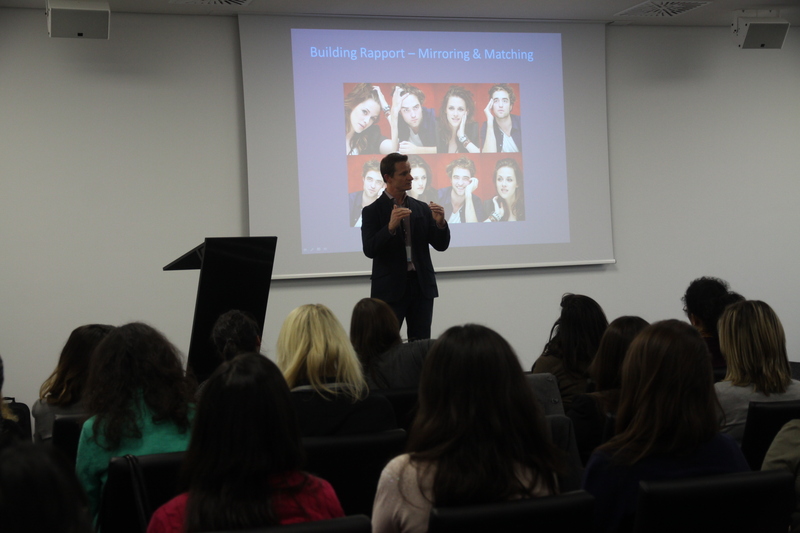 We pride ourselves in courses, workshops and speaking events that are steeped in practical and realistic strategies for more powerful, passionate and purposeful communication – everything we do is based on what the ‘real world’ demands from our delegates and we ensure our systems can be used instantly and make a massive impact. We guarantee you greater success through our range of communication courses – if you can’t measure increased achievement through enhanced communication within 6 months of working with us, we will happily refund your fees in full. No other training company, I know of, has this level of confidence in everything they do. Greater sales, increased clarity and impact – more of what your business craves. 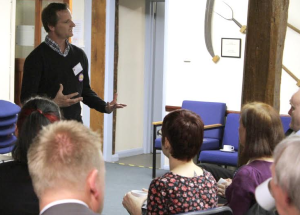 Increased confidence, influence and attainment – allowing you to stand out as a star communicator. Collaborative success, enhanced achievement, closer bonds – a force to be reckoned with and one which will give the competition something to worry about. We live in a world surrounded by an ocean of global communication. Never before have we had so much choice as to how we communicate with our fellow humans. Technology has made everything accessible and the opportunity to share our message with the world has never been so simple… Or has it? Designed for a corporate audience but could easily be adapted for any type of group. “You can run but you can’t hide” – body language is here and it’s happening, we’re all doing it , all of the time – you cannot not communicate. Interested in finding out about our courses? Click here to find out in detail how our courses can help you improve and progress as a business. Feet on the Ground training lives in the real world. Our clients constantly remind us that our training makes a difference. On the back of our sales training, we've developed programmes of technology training covering a wide range of equipment. We are accredited SMART board trainers.